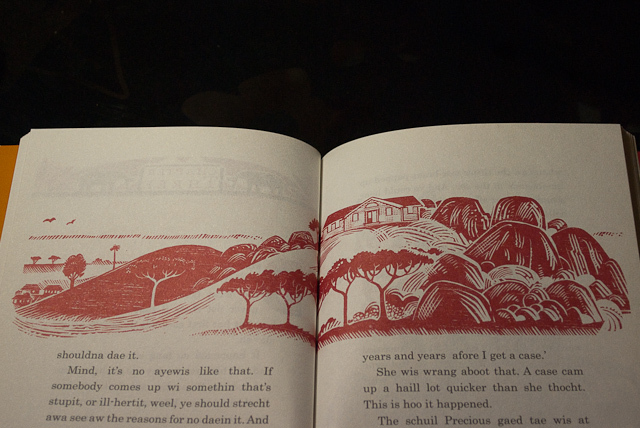 I am a huge fan of Alexander McCall Smith and his wonderful creation Precious Ramotswe. I find the No.1 Ladies Dective Agency series to be an utter delight... a ray of sunshine and a breath of fresh air. 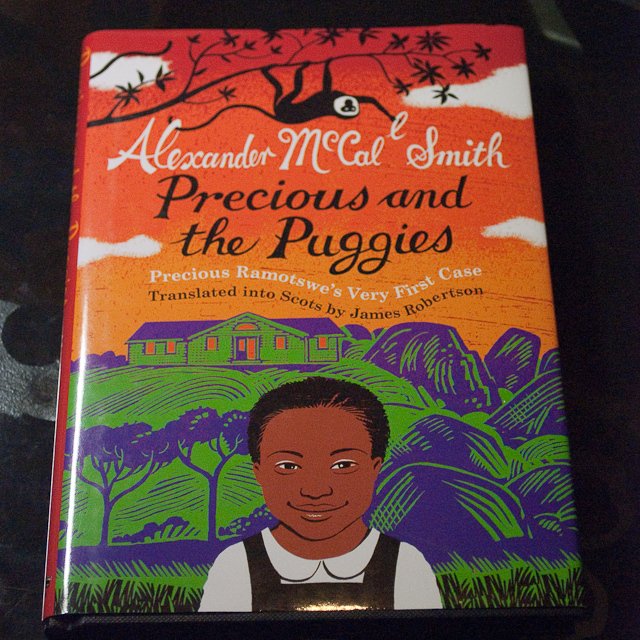 So you may understand when I get all crazy over this copy of "Precious and the Puggies" that I found today in Glasgow. 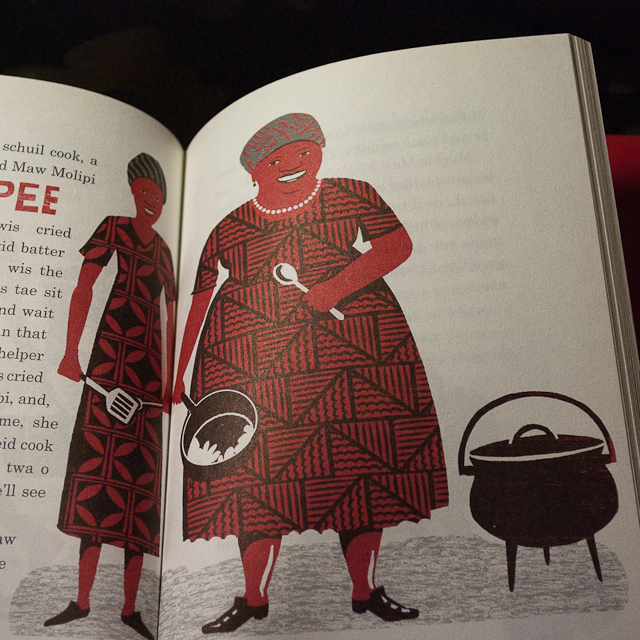 "...this is a brand new book for younger readers, telling the story of the girlhood adventures of Precious Ramotswe, founder of the Number 1 Ladies' Detective Agency. 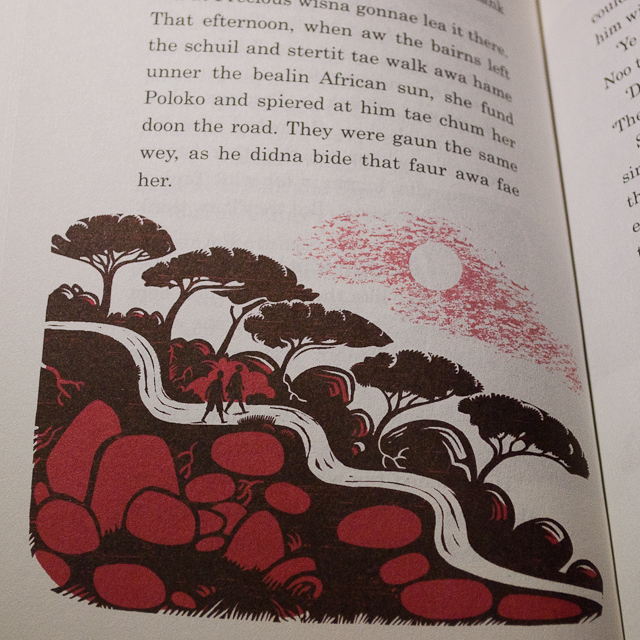 Written by one of the world's favourite authors, Alexander McCall Smith, and translated into Scots by award winning author, James Robertson, this story will not be available in any other language until 2011. 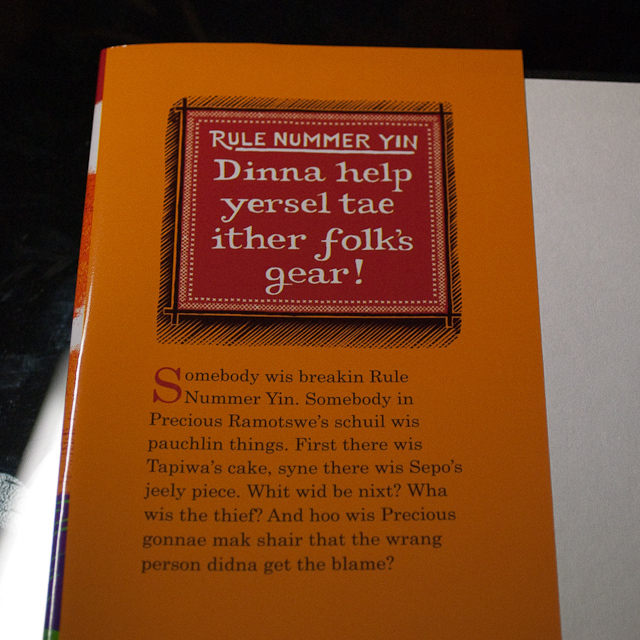 The Scots is simple and accessible, and a glossary will be provided for those not familiar with Scots words." 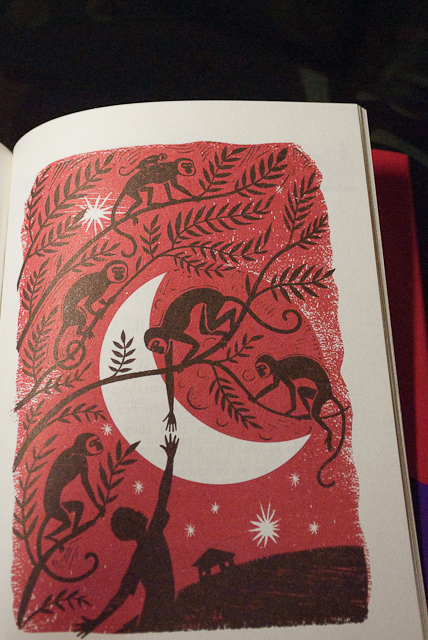 I look forward to reading this book... enjoying the illustrations... and checking out more of Iain McIntosh's work.